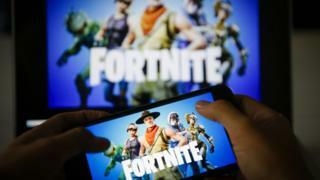 A Fortnite-themed festival has been slammed by some fans of the video game for its "depressing" attractions that left children upset and parents demanding a refund. Visitors to the gaming festival, based on the popular game, paid up to £22 for a ticket, plus an extra charge to take part in some attractions. Fortnite Live Norwich billed itself as the "Fortnite Event of the Year", with outdoor laser-tag, a climbing wall and archery at the Norfolk Showground. Organisers had promised the "Ultimate Fortnite Battle Royale" - but for many it didn't live up to expectations. "Everything had a massive queue. There were thousands of people and only about six things to do," said one disappointed visitor. Many of the amusements were not what visitors to the two-day event say they had expected. 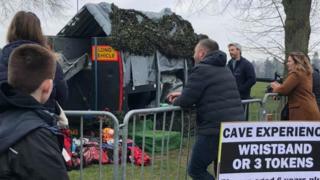 The Cave Experience was described by one parent as "some sort of truck with a tarpaulin over the sides, then they had stuck a grey plastic slide on the back." "It wasn't even slippery... kids were using their arms to push themselves down it." Another unhappy customer said it was "a trailer, no bigger than a car... with a tunnel through it". 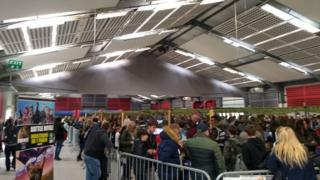 Visitors reported queuing for two hours just to get into the event. We've contacted the event organisers to hear what they have to say about the festival. I can't believe people run bad festivals and make it seem like Epic Games are behind this! That sounds awful! I went to a theme park once, and every ride had a massive queue. Any proper festival has to have over 8 attractions, right? I didn't go to the festival... it must have been horrible waiting for ages then being disappointed!